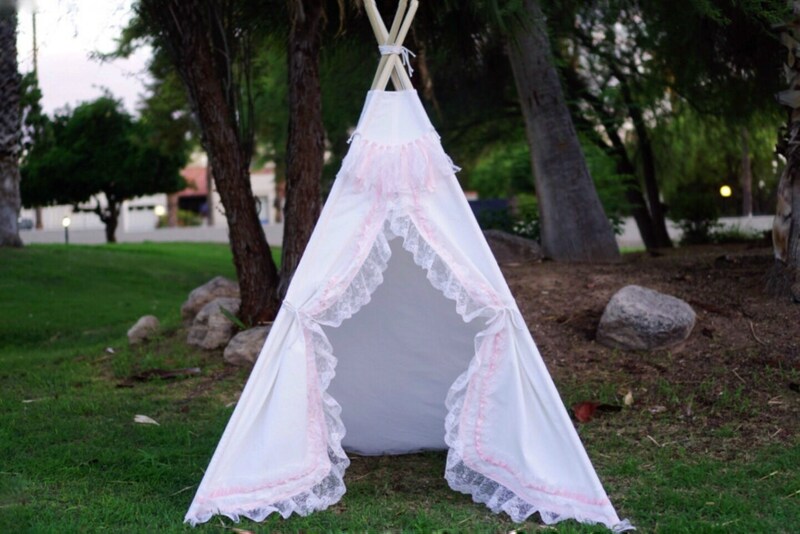 White canvas base with a hint of light pink, from the popular Fantasy style lace teepee. 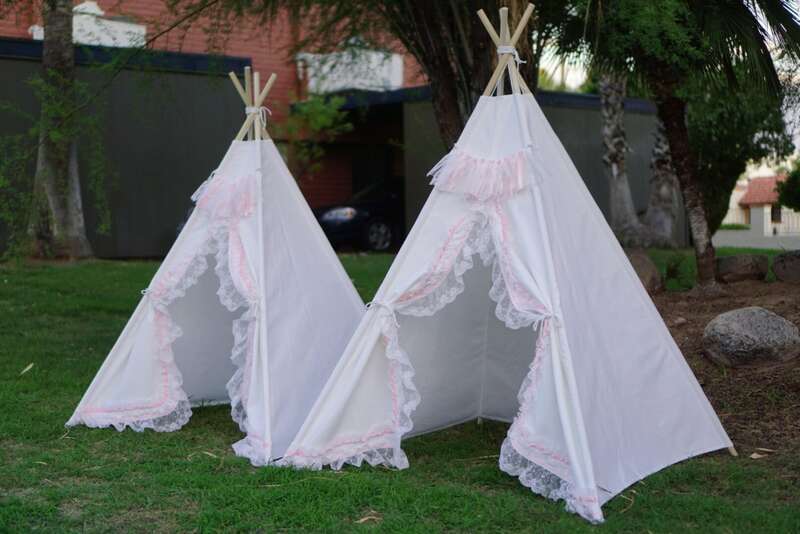 Extra long ruffles, rich lace, pink ribbon, white canvas, It is the heirloom-quality teepee that will last for years. 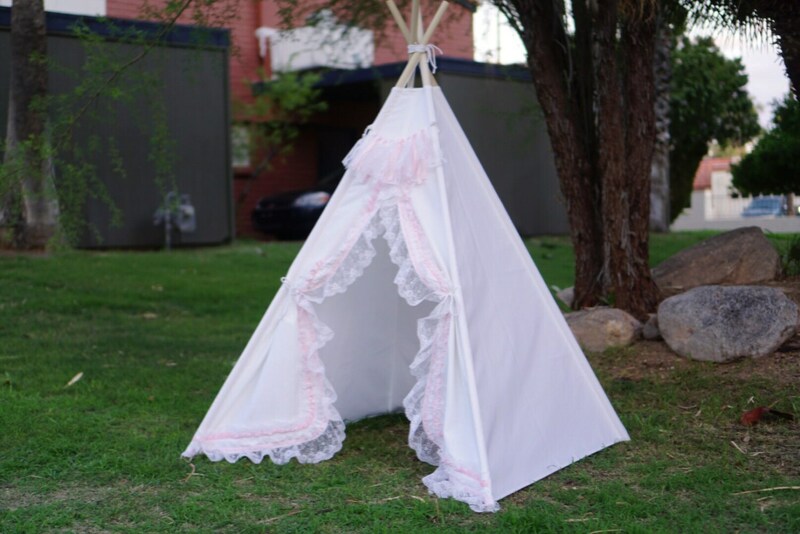 What is different with the lightweight cotton blend base lace teepee in your store? The base fabric is durable canvas. so the double lace used here is different from the regular lace trim. The regular lace trim you can find on market is thin and lightweight which only match the Muslin fabric, but not the canvas. The lace trim used on this teepee is rich in color and texture. It matches the base fabric well.